Vintage inspired advert series of illustrations, based on UK music genres and subcultures. 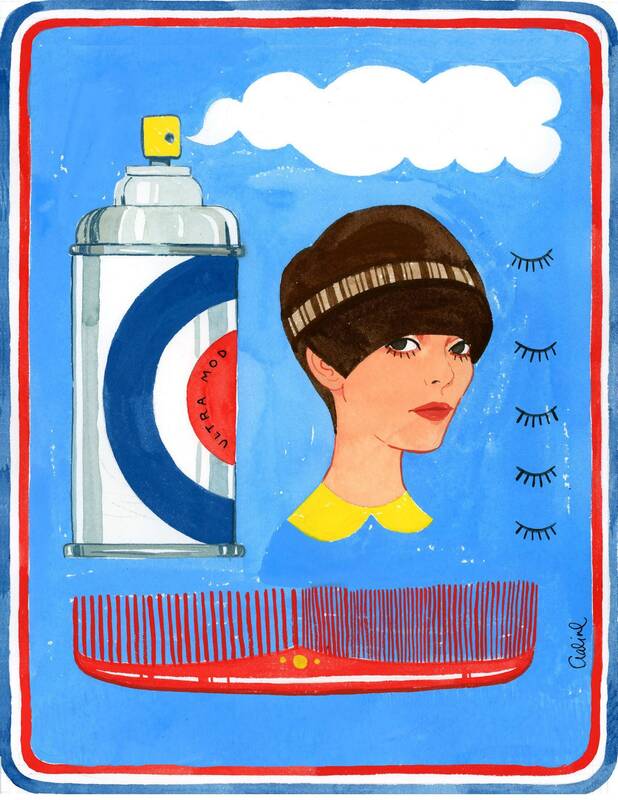 Ultra Mod is inspired by two very important things every mod girl or boy always has in their arsenal , hairspray and hairbrush. Hair is everything and we gotta keep it perfect!